Back in the day, people were only interested in having a couple of drinks at the beaches and taking pictures next to the temples. These days, Lombok is all about discovering new exciting spots and having once-in-a-lifetime experiences. Baun Pusuk is a beautiful forest, a place that you simply have to pay a visit to if you’re on the island for more than a couple of days. I have to say that in the not so distant past, I used to think that spots like this one are only good for the kids. However, I was wrong, and if you are just as skeptical about the mountain forests like I used to be, this review will change your mind, and that’s a promise! Also known as the monkey forest, this picturesque area is a sight for sore eyes, as I like to say. Located very close to the famous Rinjani mountain, Baun Pusuk offers a very comfortable climate and stunning views from pretty much every single corner. The nature around here is heavenly, and the sounds of the animals, the birds, and the trees make you feel like you’re the hero of a medieval fairytale. I can say with certainty that for the citizens of big cities, an all-green place like this one will be a breath of fresh air. 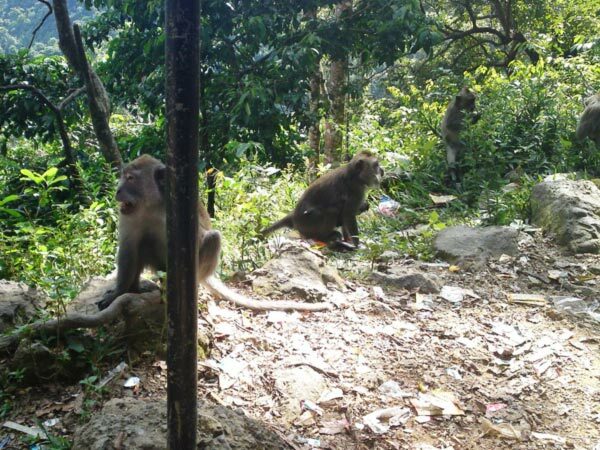 Watch out for those monkeys, though: they consider this forest to be their home and won’t tolerate any “irrational behavior”. If you’re driving up the hill behind the wheel of a car, make sure to slow down a bit. 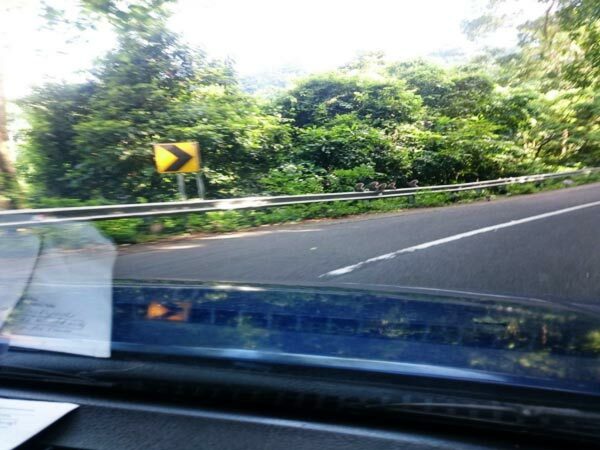 Otherwise, you might hit a couple of the local monkeys. They are not aggressive, though, and you are more than welcome to feed them. I was on this trip with a couple of my friends and we decided to enjoy the forest by walking instead of sitting in the back seats. Again, the trees, the rivers, the bushes, the flowers, and everything else in between around here are incredibly fascinating, and Baun Pusuk is one of those places that you want to explore and spend as much time in as possible. The fresh air and the clean sky have a very calming and joyful effect, I can tell you that much. On the other hand, if you hate walking and prefer to admire the view while inside a car, that also works just fine. 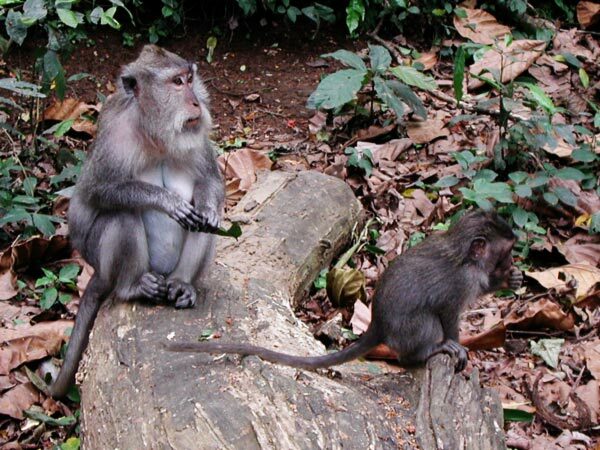 As a small part of the larger Rinjani forest area, this place is very popular among the foreign tourists and is considered to be one of the best spots on the island. The world-famous Gila and Teja waterfalls are usually next on the menu, which means an even more exciting adventure awaits once you cross that distance. Some people prefer to cover as much ground during a trip as possible. I, on the other hand, prefer to “soak it all in”. At the end of the day, a trip is not about chaotic movements but a more mature, long-lasting experience, right? When you’re in Baun Pusuk, it feels like the beautiful North Lombok Sea is following you on every step of the way, providing guidance. The green mountains covered in trees and lush landscapes, along with the super-steep cliffs are powerful examples of just how incredible Mother Nature is. It’s no secret that Lombok is officially known as one of the most beautiful islands on planet Earth, but it is trips like this one that allow you to witness that first-hand. You’ll be approximately 1000 meters above sea level, by the way. One thing you gotta understand is that this is a protected forest, and that means everything is almost exactly how it used to be centuries ago. At the same time, the government is putting a lot of effort into improving the roads, the bridges, and everything in between. 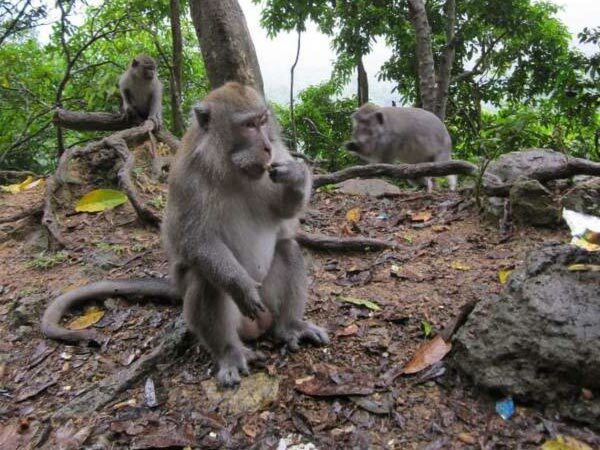 Many folks think that an inexperienced tourist will get lost in the Baun Pusuk forest (or any other landmark, for that matter), and prefer to hire guides. I have nothing against that but simply want to ensure you that the maps are all very detailed and things are very straightforward and intuitive on this island. Besides, be aware that Lombok is full of dirty and greedy “guides” that want only one thing: to rob you of your bucks. Only rely on well-respected companies and tour agents that value their reputation. Usually, people go through the Baun Pusuk forest when they want to reach the legendary mount Rinjani. Furthermore, tourists traveling from Bayan to the Senggigi beach also like to rest a bit and enjoy the view in the forest. 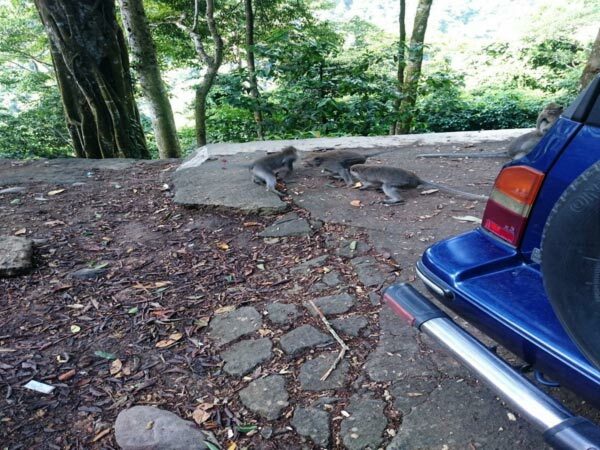 The monkeys are very famous in this area and always get lots of attention (and food). So, as I say in my other reviews, if you’re in Lombok for a long time, this spot will be able to keep you excited and thrilled for about a day or two. But for a full 1-week stay, it has nothing more to offer. 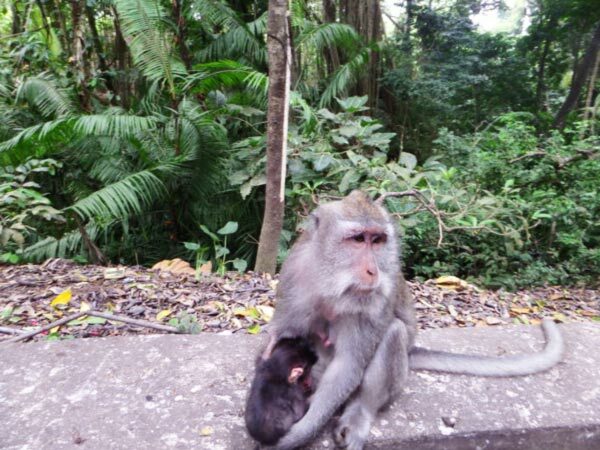 Geographically, the Monkey Forest is located near the border between the western and the northern parts of the island. Taking pictures, camping, telling scary ghost stories and connecting with nature – that’s pretty much all you can do here. Obviously, when there are other tourists on this trip with you, everything feels different, especially if some of them are your friends. For us, the foreigners, this place is unique and riveting. For the locals, it’s just another part of the island. I have to mention that various tour agencies that offer their services usually start in Mataram, then take the tourists to the Baun Pusuk forest, and then all the way up to the world-famous waterfalls near mount Rinjani. But hey – you can do it all on your own, without paying a single penny! So, traveling and feeding the monkeys is great and all that, but what are we going to do when it becomes dark and we get hungry? Well, since it’s pretty close to Mataram, you won’t have any problems with renting a hotel room, a guest house, or even a bungalow. Naturally, the city is full of cafes and restaurants, and the local fish meals are simply amazing. Plus, there are tons of tiny “eating spots” all over the place, as well as beautiful villages. Tuaq Manis is a very popular sweet drink in Lombok, and you’ll find people selling it on every step of the way. It’s very cheap. I have to mention that the road to Baun Pusuk is full of trash (not the entire road, of course, but bits of it), and that takes some of the fun away. 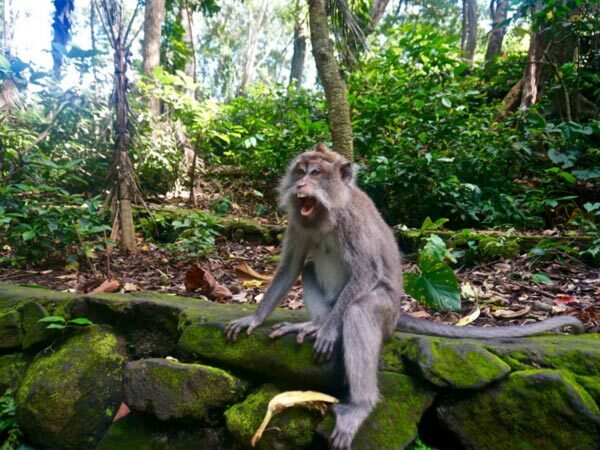 People say that the monkeys in Bali are much more aggressive than the local ones. Bananas are the best gifts for them; don’t forget to buy some at one of the stores and share with these incredible creatures. Ok, that’s it for today, dear friends. I know that even though I did my best, this review (or any other one, for that matter) won’t be able to give you even half of what I experienced there. So, pack your bags and hop on a plane to Lombok – a new adventure awaits! 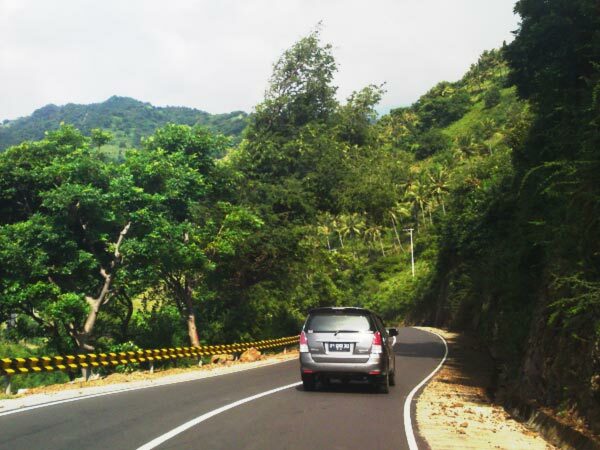 From Mataram, the capital and the biggest city of Lombok, the ride to this forest will take you 40-45 minutes, depending on the driver and the traffic. Add another 1, 5 hours if you just landed at the Lombok Airport. Ok, now let’s talk about transportation. For me, the best option from the airport to the city would be a taxi. These fellas know their craft and will take you there swiftly. They usually charge 60-80K IDR. If you’ve got some bargaining skills, a -30% deal can be reached. I travel to the island quite often and the local drivers already know me and provide mighty discounts. Public buses are also an option, but they usually only leave when full; plus, they are significantly slower. As for renting a bike/car, I’d recommend doing that when you arrive in Mataram. The road to Baun Pusuk is long and beautiful – perfect for doing some sightseeing. If you’re planning on visiting the aforementioned waterfalls as well, then the road will be even longer. But hey, that’s exactly what you came for, right? Renting is super easy in Lombok: you won’t have to wait for days to get your license and vehicle. This is one of the most profitable businesses around here, and the locals found a way to make the entire process a piece of cake. I can only imagine how much money they make at the end of each year on this! 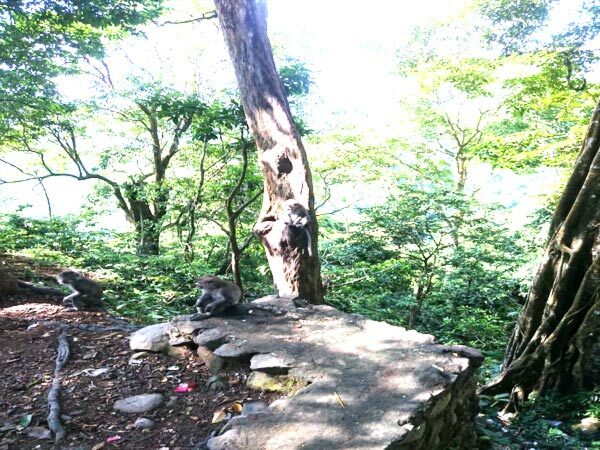 What could be more fun than feeding monkeys, having delicious meals and camping out with your best friends? Nothing, and you can do it all right here, in the amazing Baun Pusuk Forest. An experience like this one is priceless. 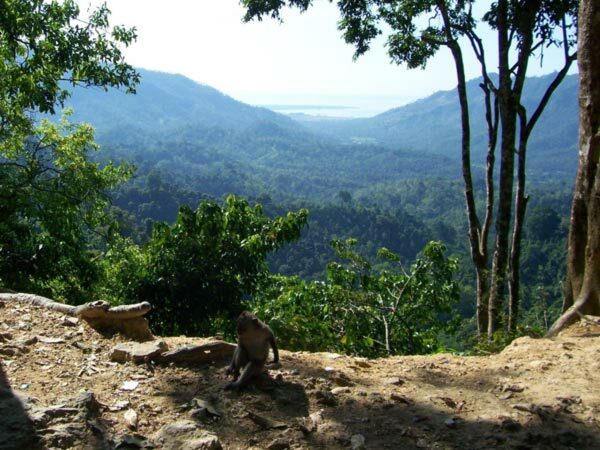 Baun Pusuk is a protected forest with tons of wildlife and many exotic trees and flowers. 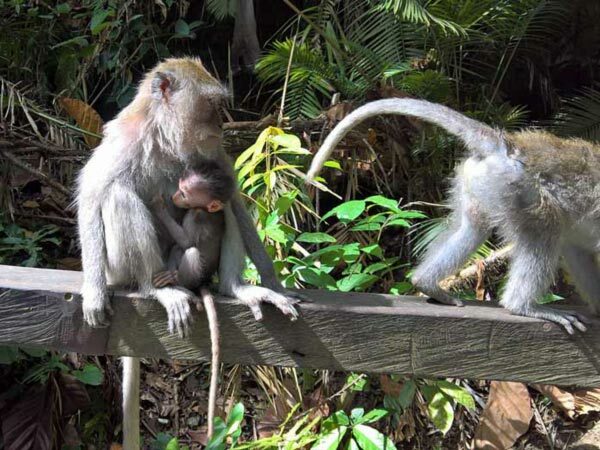 The Monkey Forest is one of those special spots that Lombok is famous for. Thank you for the detailed review - more people need to know about this place! Rinjani does have an effect on this forest - the air is nice and clean, filling your lungs with pure strength. The picturesque nature only adds to the great picture. For some, the waterfalls have nothing on this forest. Others think otherwise. Personally, I love all the landmarks on this island and had a great time driving through the forest all the way up to the mountain.